Disclosure. I have never been skiing out west. I hear it is supposed to be magnificent. What I do know about skiing I have learned visiting ski areas on the East Coast. There are so many to explore and enjoy, I may not need to head out west. 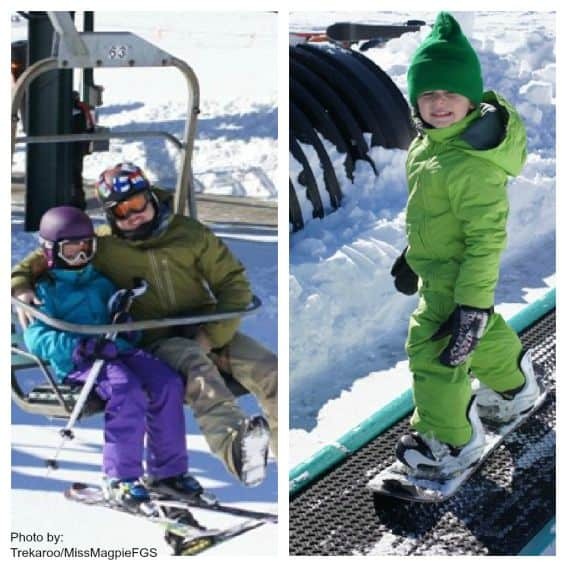 Some of our fabulous Trekaroo families have recently experienced the most terrific family friendly skiing in the Northeast. We have taken lessons, stayed in a variety of accommodations and traveled from several places around the USA. What we have discovered are an array of family friendly ski resorts awaiting your visit. From the moment we arrived we felt relaxed and at ease at Waterville Valley, New Hampshire. We arrived at the resort after an idyllic drive through the White Mountains. The ski area is centered around a planned village of various retail establishments, restaurants, and lodges. We stayed at the comfortably rustic Black Bear Lodge. Rooms here are suite style with full kitchens and separate sleeping areas. The kids enjoyed the indoor/outdoor pool each night. The mountain is a short drive away from the village. What appears to be a small mountain is actually the 4000 ft Mount Tecumseh. There are plenty of novice areas to ski including a learning area. The majority of the resort is intermediate hills with some expert slopes. For the kids, the best part was the fact that some of the novice and intermediate slopes had ‘trick’ spots, like tree skiing and boxes. 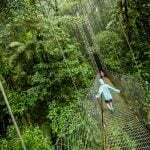 What was remarkable about this resort was the friendliness of the people. Everyone we encountered from the lodge staff, waiters, ski resort employees, and instructors as well as other skiers were amazingly friendly. We were concerned about my youngest daughter not wanting a lesson, but within minutes, her instructor at the Waterville Kids Venture Kamp had worked magic and she asked to go back with him the next day. This is the type of place you feel like you have been before. We will be back. Explore Waterville Valley’s Kid Friendly Activities, Restaurants, and Lodging. Smuggler’s Notch, Vermont is a great place to spend time together as a family; there are plenty of activities available, whether you’re a seasoned winter sports enthusiast or just a dabbler. They truly have something for everyone! It can be difficult to pick a family vacation destination and please everyone. If you begin to factor in extended family, the task can be even more daunting. How can you appease the whole crowd? Plan your winter vacation at Smuggler’s Notch, located in the beautiful green mountains of Vermont, and watch your worries slowly melt away. Parents, kids, teens, and grandparents will all have fun. They don’t call this resort “America’s Family Resort” for nothing. This destination features some of the best skiing and snowboarding in the East. 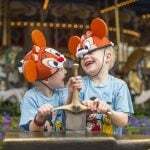 It has won awards for its incredible children’s programs including its Snow Sports University. From outdoor fun on the slopes to activities that spark your creativity, to nightly events and entertainment for families, you can find a niche here. There are even programs allowing parents some alone time. Take time for a relaxing massage, pop into a yoga class, learn a new craft, enjoy some live entertainment, share some laughs around the bonfire or while whizzing down the hill during family tubing. Smuggs understands families and offers plenty to do so your crowd can create memories that will last a lifetime. Once back at Smuggs’ cozy condominiums, there’s time to relax, regroup, and reminisce about each member’s unique experiences. Perhaps this is why Smuggler’s Notch is consistently voted #1 for family programs from a variety of organizations. Experience Smuggler’s Notch for yourself and see what memories you can create! A mom alone on a ski trip with 2 little ones in tow certainly sounds daunting. 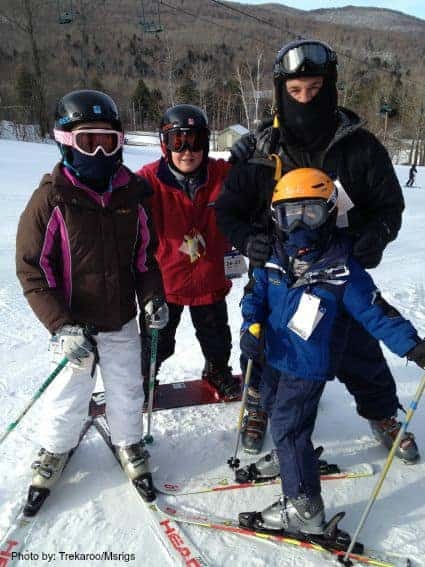 An unexpected schedule change left this mom flying solo, but the family friendly nature of Jiminy Peak in Hancock, Massachusetts not only made it work for us… it was fun! The staff was helpful at every turn; carrying bags, skis, getting kids to take lessons and more. Our accommodations were family friendly. The Country Inn at Jiminy Peak allows slope side rooms, a ski locker on the ground floor, a small kitchen, and separate sleeping area to allow this mom some downtime after taking care of 2 little ones during a busy ski day. What really made this trip possible were the lessons at the KidsRule Mountain Camps and Cubs Den day care options for the kids. Our 4 year old son spent two days in the KidsRule mountain camp, and loved every second of it. The nice thing about KidsRule is that they divide kids up by both ability and age. The goal is to keep kids with their own age group to maximize fun, but to also make sure they’re in a group of their level so that they’re able to learn new skills. While we were skiing our 2 year old spent her days at the Cubs Den. The friendliness and attentive nature of the staff made her comfortable enough to stay for 2 days. By some miracle, she even napped both days! The fact that the kids were able to quickly adapt to their new surroundings allowed mom to get out on the slopes. Jiminy Peak offers a range of terrain, with a few double black diamonds thrown in for the more adventurous crowd. Due to their snowmaking efforts, coverage and a variety of runs are pretty much guaranteed at Jiminy. With slope side accommodations, friendly staff, and excellent kid programming, Jiminy Peak is a mountain that knows how to take care of families! King Pine Ski Area in Madison, New Hampshire at the Purity Spring Resort is an ideal choice for families with younger children, and beginning skiers/snowboarders. 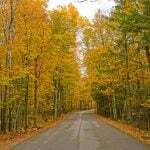 The two lane road to the resort winds peacefully through the White Mountains outside of North Conway, New Hampshire. Once at the resort, you’ll have no reason to leave. Guests can choose to lodge at a few different locations at the Resort depending on their family size and desire to be closer to the base of the mountain or the indoor pool. The rooms are large and comfortable. This family run resort accommodates the needs of their guests with a smile. They offer a ski and lodging shuttle service which makes getting from your room to the slopes a breeze. The staff at the gear rental department is legendary! They are friendly, funny, and ensure the quickest, best possible fit while reassuring nervous beginners. The ski school and lessons take place just outside of the rental department, which makes getting the kids geared up and out on the mountain a breeze! King Pine has the longest running ski camp in the country (over 70 years) which makes learning to ski or snowboard on these hills a fun, safe experience. There is a separate freestyle terrain area designed for more advanced skiers and snowboarders to enjoy bump terrain, rails, ramps, and more. 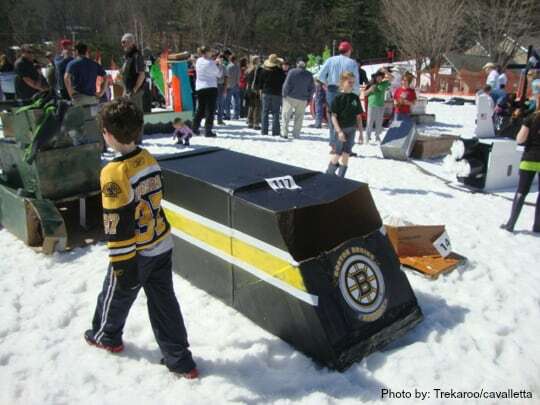 The mountain has a variety of off-mountain winter activities including the Pine Meadow Snow Tubing Park, Cross Country skiing, guided snowshoe tours, ice skating, horse-drawn sleigh rides, and special events throughout the year. The views of Purity Lake from the trails winding through the surrounding Audubon Sanctuary are beautiful! Bring your family to meet the family at King Pine and read these kid friendly reviews. Driving up to Whiteface in Wilmington, New York in may make you pause to catch your breath, gazing up at the “greatest vertical east of the Rockies.” Are we really going to let the kids ski THAT?” After all, this mountain played host to the 1980 Winter Olympic Games. While you might think this is above your family’s skiing level, you will be pleasantly surprised. This mountain is made for skiers (and snowboarders) of all skill levels – despite initial impressions. Whiteface has an ultra-family friendly ski school program, Kids Kampus, which can be accessed by a separate road with plenty of free parking. From this location, the whole family can purchase lift tickets, pick up rental gear, sign up for ski school, and grab a bite to eat. The staff works well as a team to get families geared up and out on the slopes as soon as possible. This separate section of the mountain is also designated as a Beginners Zone, which means all skiers and boarders have to comply with the slow zone when on these slopes. If you want to link up to the more challenging terrain, there are plenty of trails and lifts between the Kids Kampus and the rest of the mountain. This separate Kids Kampus, designed just for beginners, will allow your whole family to enjoy world-class skiing in the Adirondack Mountains. There are a variety of lodging options conveniently available in nearby Wilmington as well as in Lake Placid (about 9 miles away.) The Whiteface Chalet in Wilmington and the Golden Arrow in Lake Placid are two terrific options. A free shuttle bus runs between Lake Placid, Whiteface, and Wilmington, which makes getting to the base lodge from your hotel quick and easy. Cranmore Mountain Resort in North Conway, New Hampshire has one of the friendliest and easiest to access ski schools we’ve seen. The Arlberg Children’s Center and Learning Area is designed to help families get out on the mountain as easily as possible. The kids are geared up for the KidsRule Kamps right at the Children’s Center, which is just a ski step from the Magic Carpet and beginner’s hill. The Resort has an old-fashioned, highly efficient sled to shuttle kids around the base of the mountain, and it is fun, too! The mountain has a good variety of easy trails for beginners as well as a terrain park and glades for more skilled skiers and snow boarders. Ticketing and rentals are handled in separate buildings, but both are easily accessible from the main parking area. There is a convenient drop off circle, which is a great idea for families with a lot of gear. The restaurants and pub are great places to share stories of the day’s best runs. Be on the lookout for C-More, the mountain’s charming penguin mascot! For other on-mountain fun, there’s the Mountain Adventure Park, which has a shriek worthy coaster as well as a tubing park. Cranmore staff is proud of their mountain and go out of their way to ensure that families have a positive experience. There are a wide variety of lodging options to fit any budget and family size within an easy drive to the base of the mountain. The Hampton Inn and Suites and the Red Jacket Mountain View even have an indoor water parks! The shopping in North Conway is legendary. There are several outlet malls as well as uniquely New England shops where visitors can take home a piece of the Granite State’s finest handmade goods. 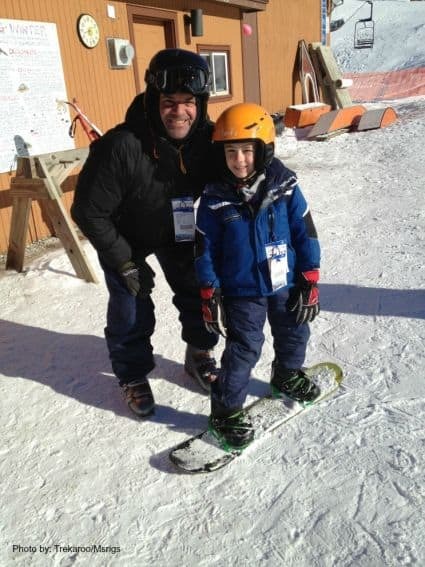 Skiing at Stowe Mountain Lodge in Stowe, VT is a great experience. The well-groomed trails are supplemented by a state of the art snow-making system that has the resort up and running by mid-November. The ski in/out accommodations at the slopes of Stowe Mountain Lodge, provides a luxury experience that operates as a well-oiled machine. When our family checked in with a multitude of other families we were surprised that the multiple valets and bell-staff had us in our luxuriously appointed one-bedroom suite in less than 5 minutes. The amenities did not stop there. If we had forgotten something for our eat-in meals en suite, there is a hotel shop that sells just about everything. We also loved the washer/dryer unit that dried our clothes for the next day, while the ski valet held our equipment. Ease of access to equipment combined with high speed lifts means more time skiing on world class terrain. Après-ski adults know that after a full day on the slopes there is nothing better than relaxing at the spa. At the Spa at Stowe Mountain Lodge , for $25, you can treat your children to this special experience too. My kids thoroughly enjoyed their Chillax treatment. You can end you day at the resort’s AAA Four Diamond restaurant, Solstice. Despite the formal appearance of the menu, you will know that kids are welcome when they hand you a huge menu dedicated just to children! In addition to this, during busy season and on weekends, there is a kid’s buffet. Although many people may find that Stowe Mountain Resort is pricy, we think you get what you pay for. This full service, luxury ski resort doesn’t disappoint and delivers where it counts. Find your family’s best ski resorts and snow play spots across the United States & Canada. Stay up-to-date with Trekaroo’s family friendly ski resorts and reviews by subscribing to this RSS feed. 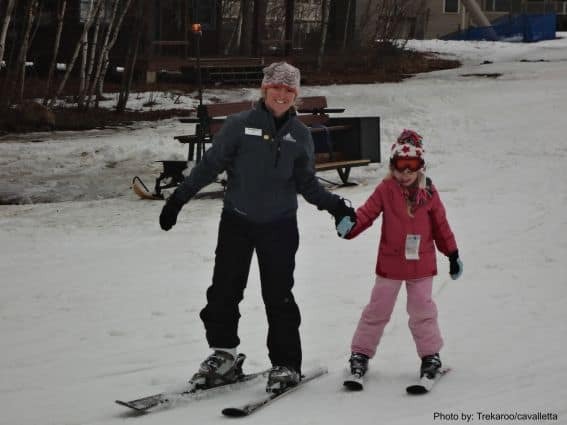 Many thanks to the Trekaroo families of Sharon Rigney, Dana Freeman, Kate Lepore, and Lisa Marie Leihy for their travels and contributions to ‘Terrific Family Friendly Skiing in the Northeast.’ Our families were provided complimentary activities and accommodations in most cases. As always, each writer supplied their own opinion and was not required to submit a specific review. There are some great places to ski in the northeast and I think you’ve named most of them here! 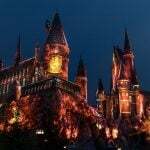 Will check back here when I’m ready to book! Great overview, thanks for sharing! 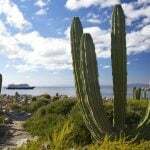 We have been to many of these resorts and all are great for kids and families. Our home mountain is Mount Snow so we are a bit biased but the mountain is great for families and children with a phenomenal learn to ski. Our kids, now avid skiers, learned here. If any questions let us know.